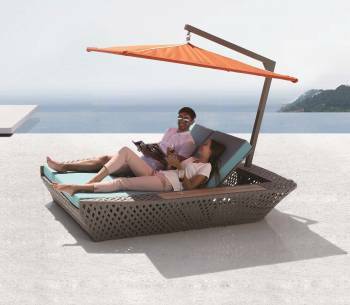 The Verona Curved Sofa Set works as the perfect weekend getaway as its plush comfort and inviting looks allow you to lounge all-day long under the radiant sun. 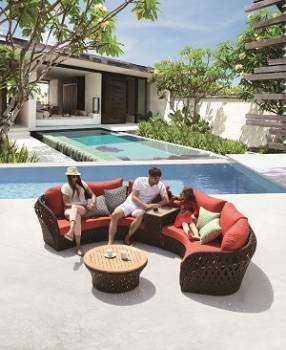 Enjoy the warmth of your outdoor space by sitting comfortably on the artfully-designed, Verona Curved Sofa Set. 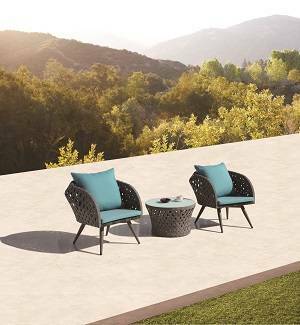 Unwind with friends over coffee and get accompanied by the moonlit sky when you have the Verona Sofa Set placed in your outdoor patio. 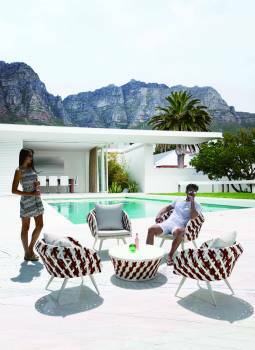 A beautiful poolside looks incomplete without a gorgeous seating place like the Verona Seating Set for 4. 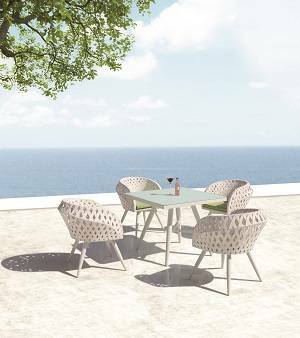 Catch up with an old friend over a cup of coffee while sitting comfortably under the beautiful sky when you have the comfort of the Verona Outdoor Seating Set. 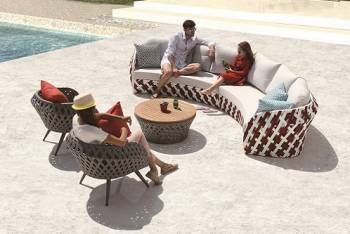 Outdoor lounging with friends and family will become even more enjoyable when you get to enjoy the relaxing comfort of the Verona Curved Sofa Set with Chairs. 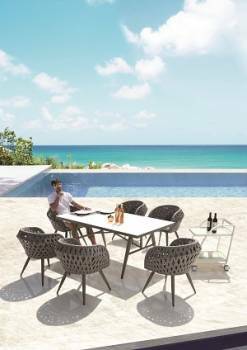 Create a unique dining space to dine under the moonlight sky by making the Verona Dining Set for 8 a welcoming addition to your outdoor space. 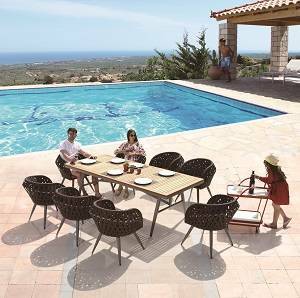 Invite the serenity of countryside designs to your poolside or terrace by making the Verona Dining Set with Armless Chairs and integral part of the decor. 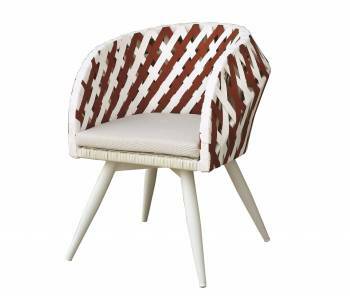 Turn your outdoor patio into a dining retreat by using the Verona Dining Set in the decor. 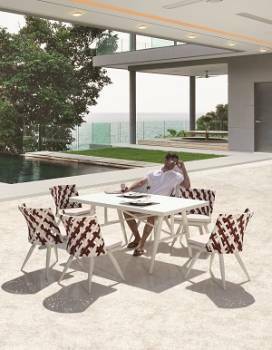 A poolside setting at a resort looks incomplete without gorgeous furniture units like the Verona Dining Set with Armless chairs. 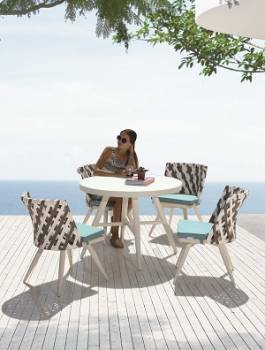 Enjoying your favorite meal amidst placid sea water is no less than a dream! 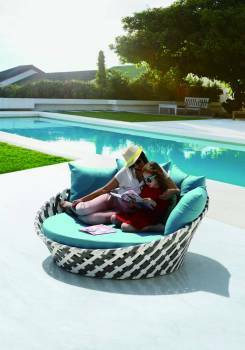 An outdoor area needs a bit of attention in decoration that is granted to an indoor space. 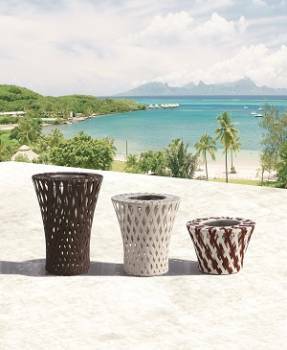 Innovatively use the Verona Medium Flower Vase to add beauty to your patio, lawn, or courtyard in order to create a welcoming entrance space.